The family of Gold Coast man Reece Harding has pledged to continue furthering the cause he lost his life for. 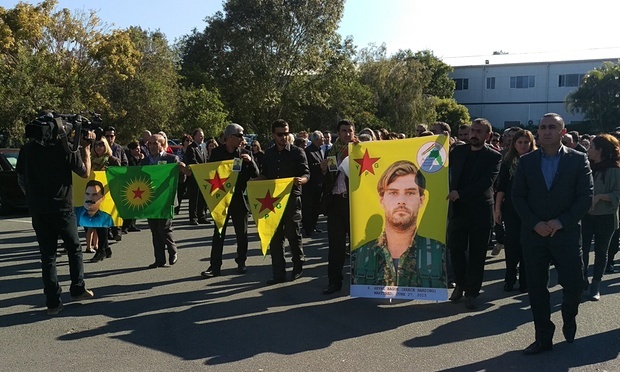 The 23-year-old died fighting with Kurdish forces against Islamic State militants in Syria. His determination, sense of adventure, love of life and warm heart were remembered during his funeral service on the Gold Coast on Saturday. Reece’s father Keith said the 23-year-old had been to more countries than most people visited in a lifetime. Jordan promised to live his life the way Reece had done. “At a time when everyone else stood by, my brother stood up,” he said. But it was lifetime milestones – his first legal drink with Reece, attending his brother’s wedding, becoming an uncle – that Jordan painfully acknowledged he would now never experience.